I was talking with one of my PhDs (Phoenix History Detectives) yesterday, and we both agreed about the amazing feeling that we get by just standing somewhere that is important in history. It's something that I've done for a very long time, and I'll see if I can explain what I'm seeing in the photo that I took last week the from window of the Starbucks on the southeast corner of 67th Avenue and Peoria in Glendale, Arizona. 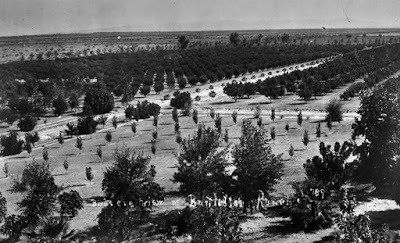 If you're familiar with Glendale, Arizona history, you know that the Sahuaro Ranch, originally owned by William Bartlett, was a square mile, or 640 acres, and in modern terms it extended from 67th Avenue and Peoria to 59th Avenue and Olive. A part of the ranch has been preserved, just south of the Main Glendale Library, and just north of Glendale Community College, but as big as that area is, it doesn't encompass the size of original ranch. Looking southeast over the Sahuaro Ranch in 1889. So no, there isn't anything left to see of the northwestern edge of the ranch, which is where I was last week. There are no historic markers there, no remnants of what had been there over 100 years ago. As I stood there I looked around and from the parking lot of the Starbucks you can't even see the mountains in any direction. To the west are the White Tanks, to the north the Bradshaws, to the south the Estrellas, and to the east the McDowells. But you definitely would have seen them back when the ranch extended all of the way to there. In fact, there really wouldn't have been much else to see. 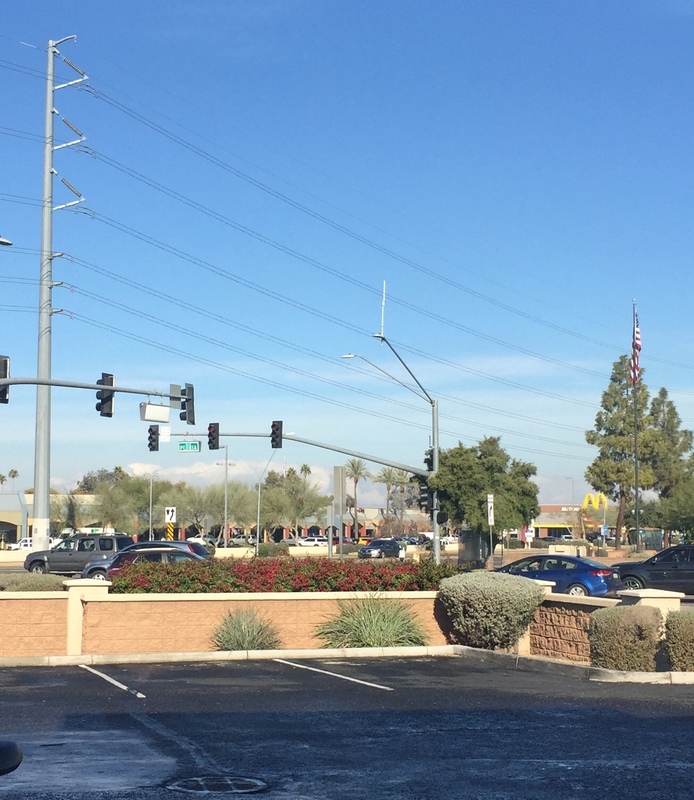 The tiny town of Glendale would be several miles to the southeast. No, I didn't go stand in middle of the parking lot there (there are cars with people trying to get their Starbucks at the Drive-Through! ), nor did I walk up to complete strangers and tell them that they're on the edge of an historic ranch. I do visit these places with some of my PhDs, and of course I talk to you here about it. If you already understand, I know that you're nodding your head, and if it's new to you I'm glad to get the chance to talk about it. There are a lot of people who stand on history. Those are the people who visit the battlefields of the Civil War, that sort of thing. No trace of anything remains in most of these places, except the place itself. And when you know a place like that, just standing there can give you a rush. Thank you for visiting the Sahuaro Ranch with me today!